Then Again, What Do I Know? : Who Are You Speaking For? A value that many Americans share is the desire to speak for ourselves. We tend to resent it when someone else claims to be speaking for us, especially when we don’t agree with what that person says. Unfortunately, many individuals with developmental disabilities aren’t in the position to be able to speak for themselves. A number of organizations have attempted to take on the task of speaking for these individuals. Although I admire those organization’s efforts, I do feel there are important questions that need to be answered when a person or organization undertakes the effort to speak on someone else’s behalf. Let’s say I operate an organization called “Left is Right!,” a membership organization for lefthandedness, and I publicly profess that I speak for everyone who is left handed, and I take a position on wearing wrist watches on the right wrist. 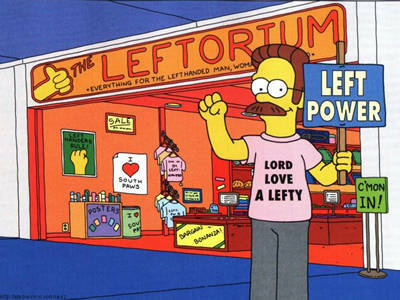 Have I reached out to all lefties and know my position is shared by all? Have I reached out to my “Left is Right” membership for the same feedback? Has my “Left is Right” leadership taken the position for which I am speaking? Does my position afford me the right to make group claims? Does my audience know the difference? Or care to know the difference? Do I even have an audience to influence? Does my organization, “Left is Right” have touch points with lefties from which I can profess my position about wristwatches? Can I produce the supporting data to my claim of touch points? What about the unintended consequences? Wristwatch controls are on the right side of the clock face. Switching positions to the right wrist may exacerbate future adjustments. Have I researched the unintended consequences? Am I willing to take the responsibility for not researching the unintended consequences? These questions are important: who are we really speaking for? How are we speaking for them? To whom are we speaking? What are we saying? Who is really listening? Are we just preaching to the choir? Are we speaking with one voice? Is there really just one voice? Can I support my claims? Is my opinion shared or is it personal? Answering these questions are the keys to truly successful advocacy, in my opinion. It could be from a service provider, community centered board, faith-based organization, parent group, a list serve, or professional advocacy organization. And as I look at the organizations that have been able to answer those questions most effectively and have consistently served as a true voice for individuals with developmental disabilities, I see a common theme: family member involvement. Families live life with individuals with developmental disabilities every day, and you don’t go through that experience without learning a great deal about practical solutions and innovative ideas. Harnessing that knowledge and using it to advocate for and serve others with similar disabilities has proven to be a recipe for sustained successes. The key is “harnessing that knowledge.” How can we do this? Social media collaboration tools can help. These tools can help substantiate a spokesperson’s claims. Would you like an example? Well, Imagine! was formed in 1963 by a group of parents who just wanted their kids to have the same opportunities to engage in their communities as all of their friends’ kids did. We continue to use that philosophy as the cornerstone for everything we do at Imagine!. I think that is demonstrated in our advocacy efforts. I am extremely proud of the endeavors we have undertaken to improve the lives of so many Boulder and Broomfield residents who don’t have a voice. On behalf of the individuals we serve, we lobby local, State, and Federal officials, we engage in fundraising, we write grants to increase and enhance our ability to provide services, we seek a variety of other ways to increase our funding streams, we have undertaken several efforts to address Colorado’s waitlist, and we are constantly raising awareness through media outlets of the many contributions the people we serve bring to their communities every day. We are also using social media tools to harness the knowledge of the families of the individuals we serve. I have constantly stressed in this blog that we need to look for new and creative ways to fund and deliver services, and that all interested parties need to come together to find solutions. I’d like to add to that list: we need to listen to the families and loved ones of those we serve – they have the knowledge and answers we seek, and substantiate public claims.